Today I’m bringing a super easy and inexpensive craft, perfect for kids of all ages (including toddlers!). 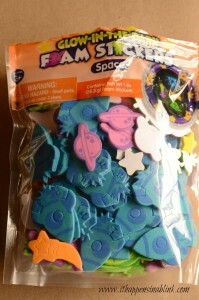 My specialty item for this product is a package of Glow in the Dark Stickers that the super folks over at craftprojectideas.com sent to me. 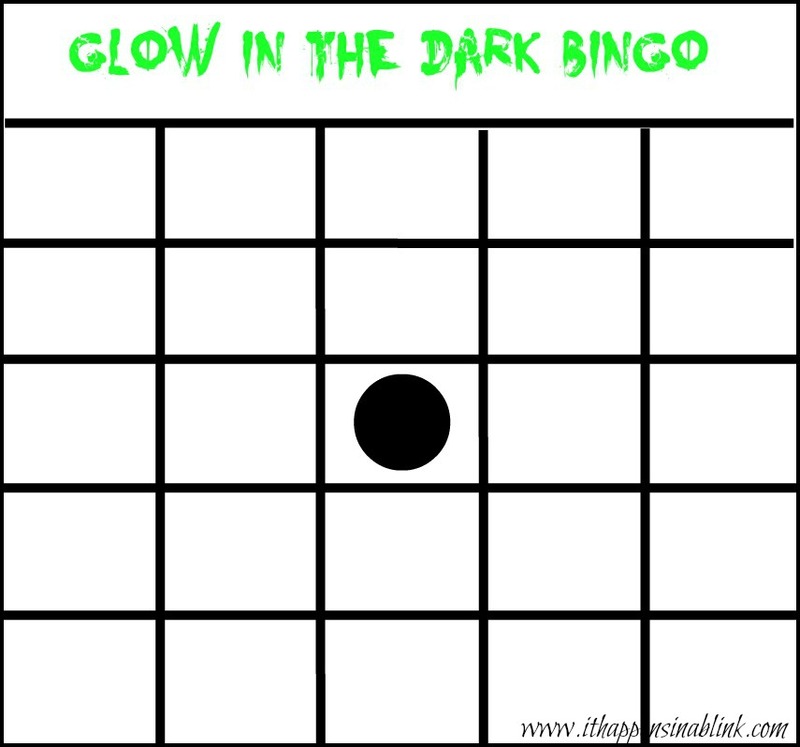 Print off the Bingo Card Printable. Right click the below image and save it to your computer. Print it off as whatever size desired. Print it as a smaller size to get more than one card on a sheet, or print it as a larger size as just one card on a sheet of paper. Keep in mind your sticker size when choosing the card size. If the card is smaller, the stickers need to be smaller or they will not fit in the boxes. 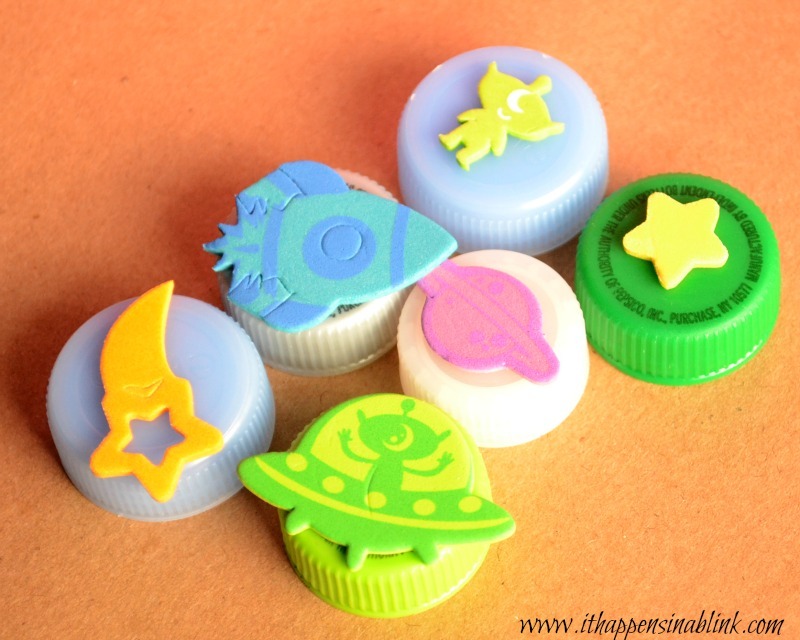 Place glow-in-the-dark stickers on top of the bottle caps. I used the same stickers as the ones on the bingo card. 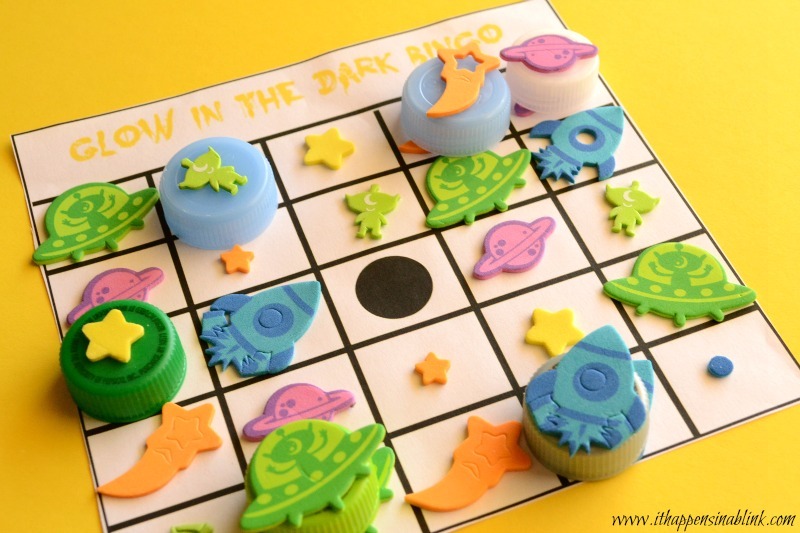 This way, it can also be a Bingo Matching game! 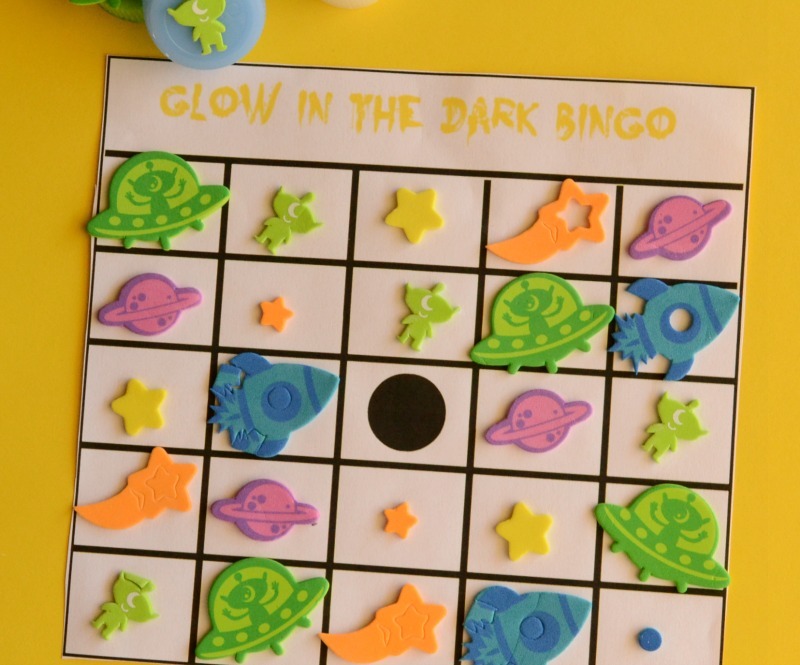 Make enough for all the kiddos to have a fun, quick game- perfect for those summer sleepover nights where all the kids are up late! Disclosure: I was sent a craft products from craftprojectideas.com in hopes that I would use them and mention them in a blog post. All opinions and crafts are my own. In a Blink Blog Launch and $40 Target gift card give-away! Thanks, Marilyn! It is lots of fun! Glow in the dark everything is awesome. Love this idea!! This is such a cute idea. My kids love playing with glow in the dark things. Something very fun for kids to do at night in a tent when camping. Great idea. 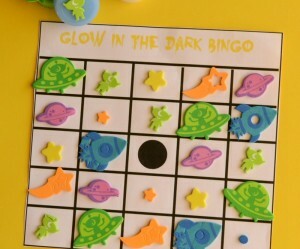 What a fabulous craft idea and game for those with bigger (post toddler) kids! Oh! These are awesome! Especially if you have a blackout! lol! Melanie, this is such a fun project. I smile everytime I see it! My daughter would love this! Especially helping to set up the gameboard! what a great idea! loving the new site, too!! Great idea! My girls will have a great time with this!